ANGRY Aussie renters have hit back at a bold statement from one of Australia's real estate experts who offered tenants some brutal advice overnight. Real Estate Institute of Australia (REI) president Malcolm Gunning told struggling Australians being locked out of the housing market in Brisbane, Sydney and Melbourne to get another job. Failing that, he said they should move away from the major capitals or negotiate their rent. "Do the hard yards. Maybe even, god forbid, get two jobs," he told 7.30last night. "Now, your viewers will hate that, OK, but many, many people do it - a lot of our migrants work two jobs." His comments didn't sit too well with some viewers who are struggling to make ends meet. "Out of touch and absolutely ridiculous," wrote one disgruntled Twitter user. "What less would you expect from someone set to gain from high rents and property prices." "How about us taxpayers don't subsidise landlord's investment properties?" wrote another. "Why should we be screwed over twice? The outrageous rental prices keep going ever skyward." REI says affordability has improved. Despite Mr Gunning's brutal advice, the REI's latest statistics showed that affordability has improved for renters and the number of first homebuyers increased during the second quarter of 2018. And, according to the June 2018 Domain Rental Report, the median rental price in Sydney for both houses and apartments was $550 a week and the average rent had fallen in some expensive suburbs. The same statistics show that in Melbourne, the median rental price for houses was $430 a week, and for units it was $410. Brisbane became more affordable again, with a median rent of $400 a week for houses and $370 for apartments. It's not the first time Mr Gunning has stoked controversy with his housing commentary. In July 2016, he penned a piece for the Real Estate Conversation website in which he called millennials "generation selfish" for saying they could not afford to buy property in Sydney and Melbourne. "More and more we are seeing a victim mentality associated with the high cost of property, yet this 'generation selfish' sees wide-screen TVs, designer clothes, international holidays and eating out as everyday essentials," Mr Gunning wrote. "They simply won't do what is necessary to cut their lifestyle in order to save a deposit … they want the Surry Hills pad, right now and won't modify their expectations." Last month it was revealed that struggling landlords are having to slash their rents in Australia's major cities because of a glut of empty apartments. The SQM Research figures showed that, in Sydney, 2.8 per cent of units and houses are now sitting unoccupied. That adds up to 19,572 residential rental dwellings estimated to be sitting vacant and available for rent, and experts say it could signal a dramatic slowdown in the city's economy. 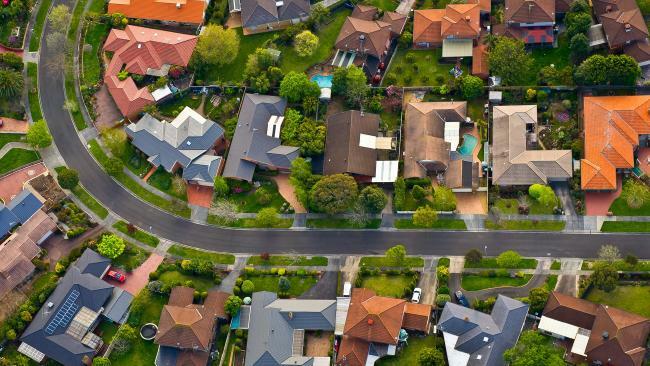 "These are the highest vacancy rates we've seen in Sydney since we started compiling this data in 2005 and the situation is only going to deteriorate," SQM managing director Louis Christopher told news.com.au said. "We are expecting the vacancy rate to rise above 3 per cent by the end of the year." According to REI, rental affordability has recently improved in all states and territories except for the Australian Capital Territory and the Northern Territory. "South Australia was the only state or territory to show an improvement in both rental and home purchase affordability," Mr Gunning said in a statement. "However, housing affordability has declined for purchases in all other states and territories in Australia." However, he told 7.30 last night he doesn't accept there's a rental affordability crisis in Australia. 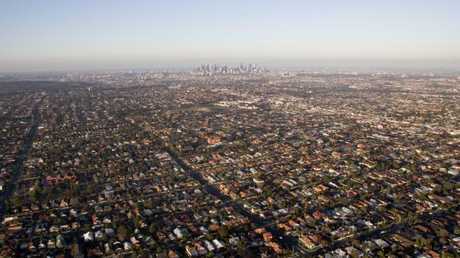 "The reason the rents haven't dropped, particularly in Melbourne and Sydney, is because of population growth," he said. "If you want to live on the fringe of the city, it's affordable. If you want to live closer to the city, it's expensive.